Reifel Bird Sanctuary is one of the premier birding locations in BC with a ton of migratory birds in the spring and fall and several other residents you won't get to see anywhere else like the family of Sandhill Cranes and the Black-Crowned Night Herons that both winter at the refuge. 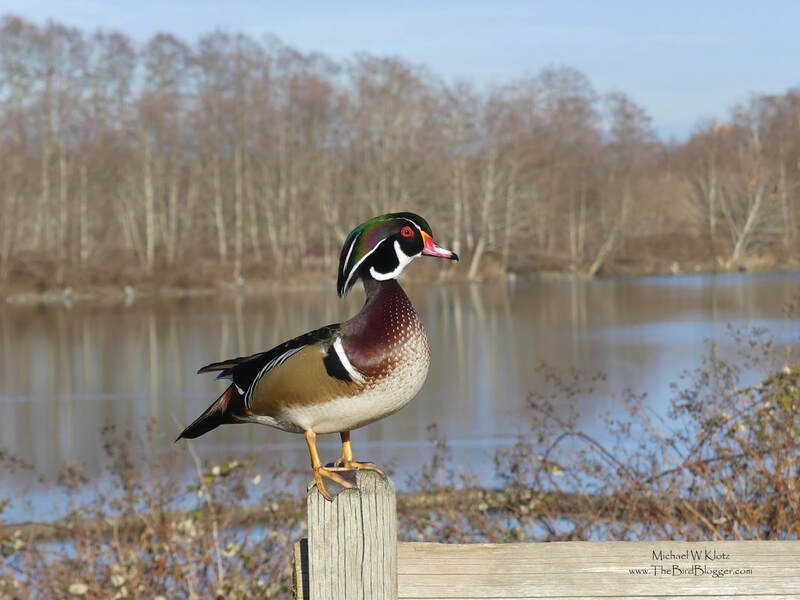 One of those residents found here all year are Wood ducks with all of their finery. This male was looking for an advantage while the kids supplied seed to the hundreds of mallards, wigeon and pintails on the ground. If you look closely, you can see the nails of these ducks allow them to grasp the branches of trees where they nest in cavities.